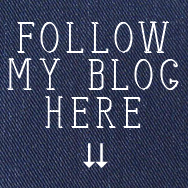 Its been a long time since I last blogged. 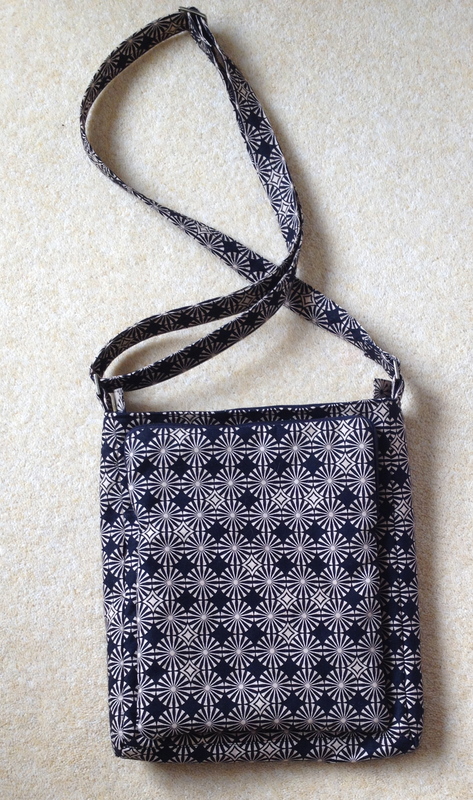 I’ve been sew….. busy making pressies for folk and testing a handbag pattern! 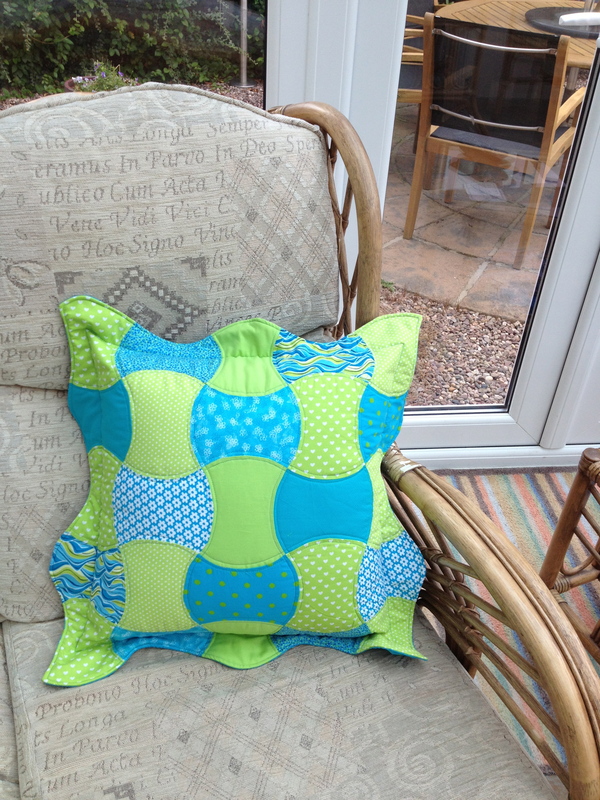 The cushions are very bright as Kate asked for these colours. I used my Sizzix applecore die to cut this one out. 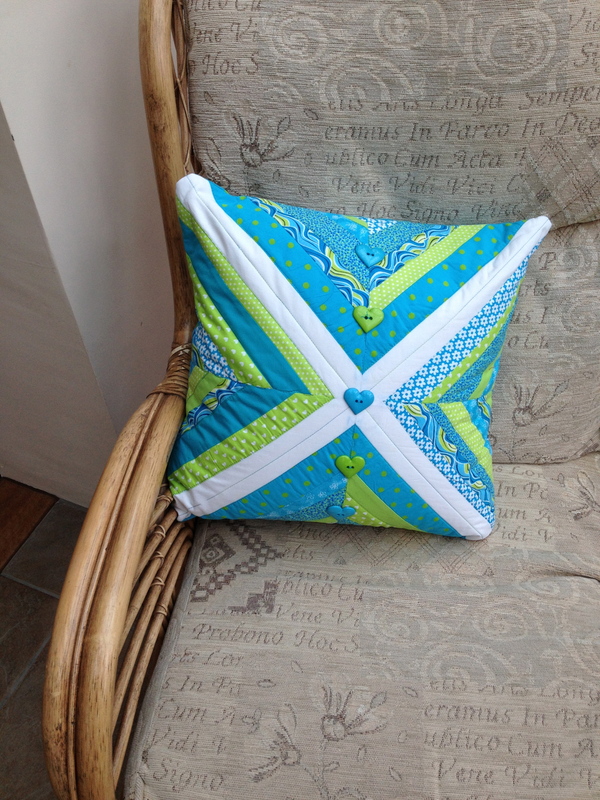 This cushion is made out of strips and I added some lovely heart shaped buttons on the front. 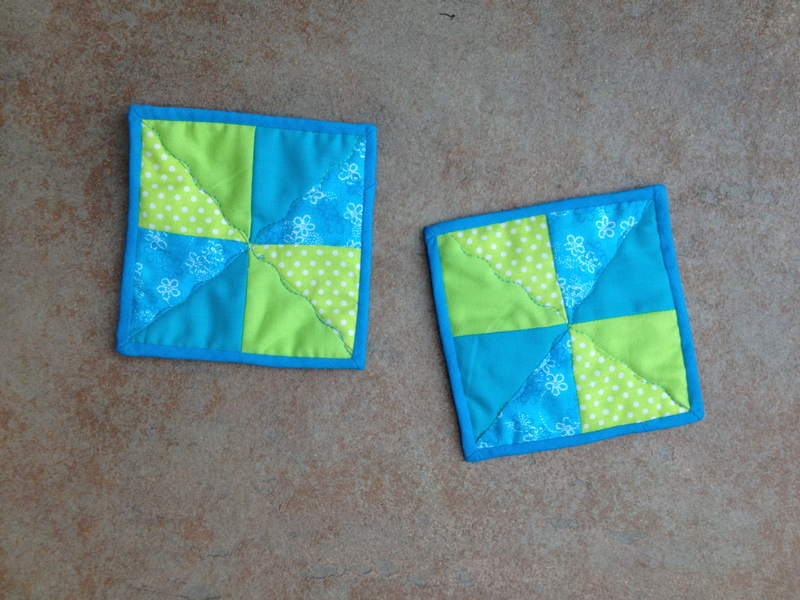 And… as Kate was travelling I made her some square mug rugs to take with her to remind her of home. 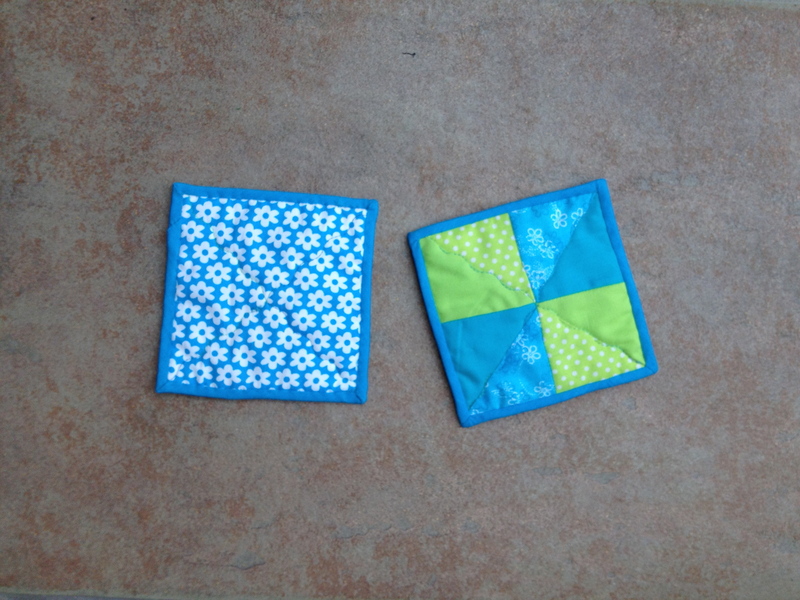 Again I cut them out with my Sizzix using the half square triangle dies. 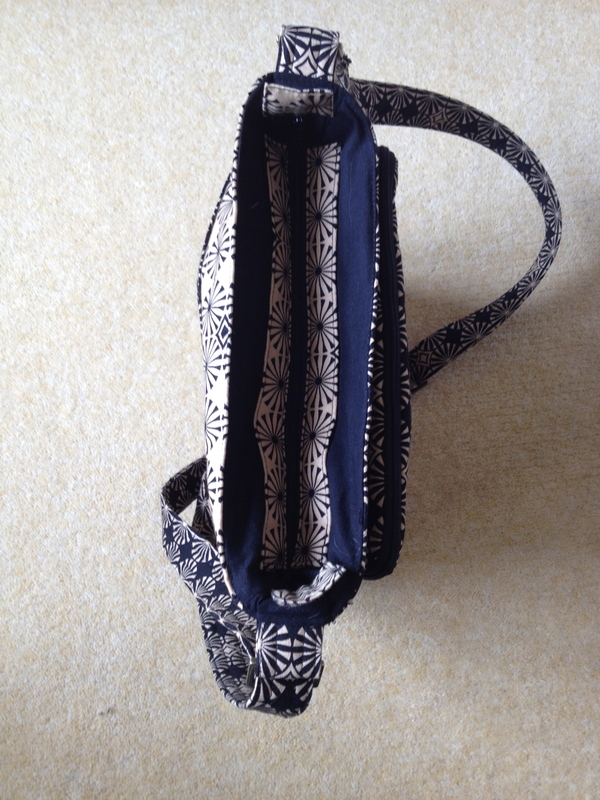 I was lucky to be able to test a pattern for the Lombard Street Bag for Chris of chriswdesigns.com. This was great fun and I can recommend her patterns. Here are some pictures of my bag which featured on her website. The bag has multiple pockets on the outside, and a great iPad pouch on the back, just right for travelling with. It has a zip closure to keep all my bits secure. Well that’s all for today, I’ll continue with my quilting and hope to finish my latest quilt quite soon. 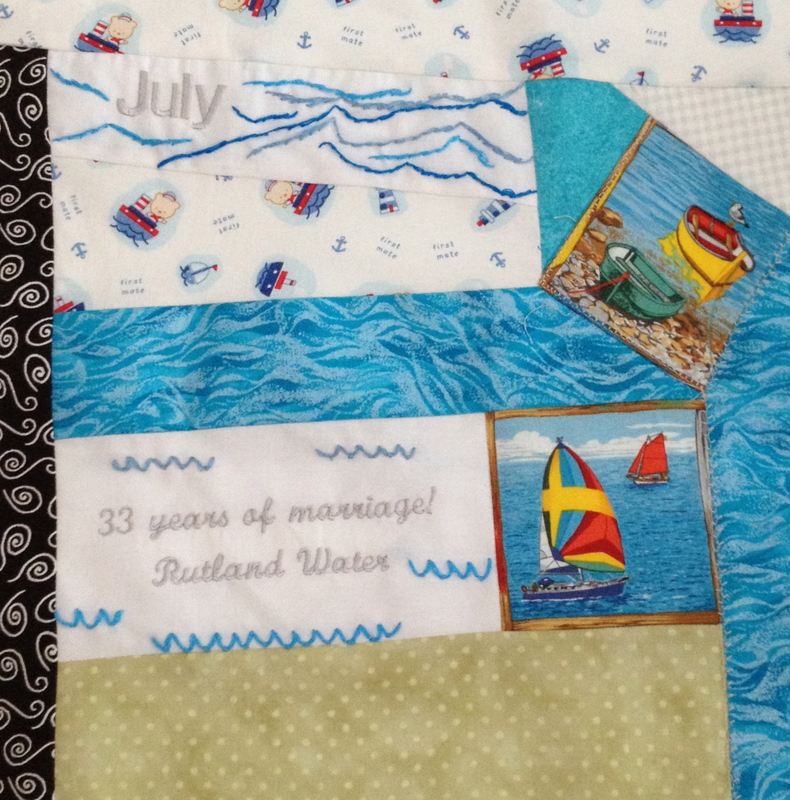 Well the next four blocks for the CQJP 2013 have finally been sewn. These blocks have been in the thought pipeline for ages and as usual I have just finished them by the deadline. I spent Monday sewing them together, in a frenzy, whilst at Braintree Quilt Club. They continue to record my year, as you can see. 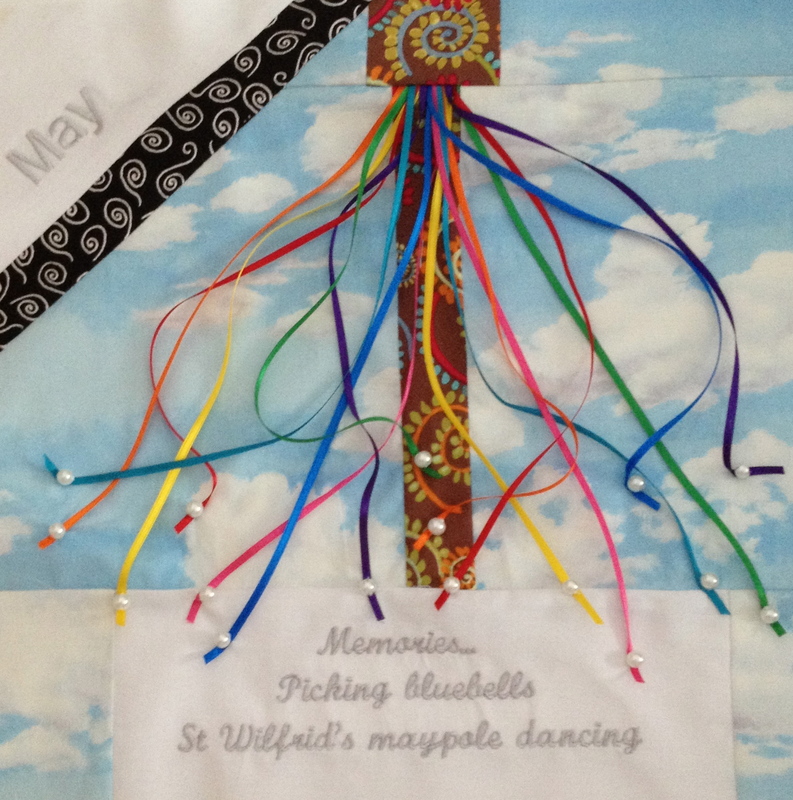 Every May I remember the May Day celebrations at primary school. No doubt time blurs the memories, but the sight of the first bluebell always takes me back to gathering bluebells to take to school, along with an afternoon of maypole dancing. This year I spent a wonderful afternoon with a friend wandering through a wood that was carpeted in masses of bluebells. The wind was softly whispering through the trees and the smell was soooo delicate and fragrant. We spent a week of lazy sun filled days, with sangria evenings in Majorca. Next we went to Brighton, so I just had to include the GROOVY material, along with the union jacks. 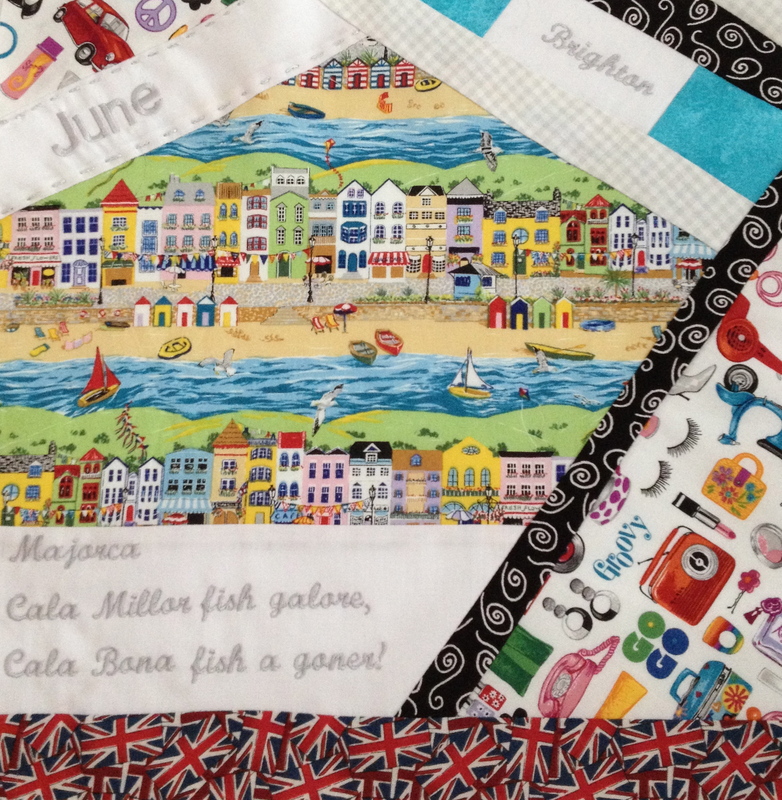 I bought the seaside fabric in the North Lanes – yes, I was planning this block! July saw us in Rutland. We had a lovely time at Rutland Water wandering along the paths. It was soooo hot! I just had to include the first mate fabric as I made Farris a couple of dribble bibs in it. 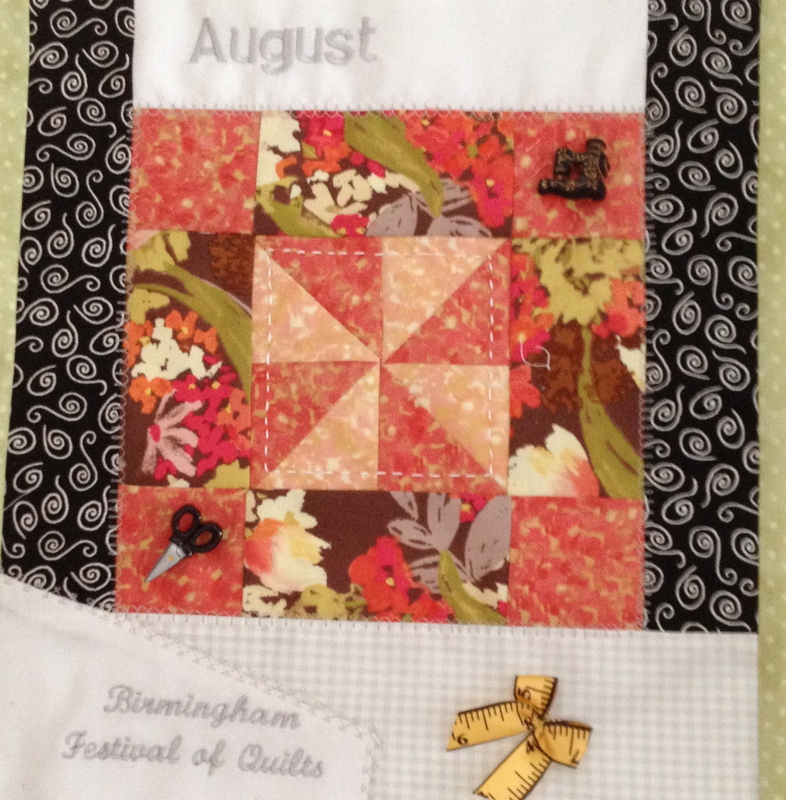 Well, August is the time we quilters love with the Festival of Quilts in Birmingham. I cut and sewed the peachy 8″ block at the Sizzix stand. I love my Sizzix Big Shot Machine and am saving hard for more dies! My September block is going to be sewn around friendship. My fellow quilters at Braintree Quilt Club are all giving me some fabric to sew into the block. They are choosing the colours they like and work with. Watch this space to see what it looks like! I hope you have enjoyed looking at the next four blocks. Have a fun bank holiday!